Five home games. Four defeats. One draw (and even that felt like a defeat). There have been some low moments over the last two months watching Charlton at The Valley but they sunk to a whole new level this lunchtime. This wasn’t our worst performance in that period, but it could well be the worst defeat. Not only was it against our local rivals but it was against a team who came into the match in shocking League form, a team who last played three days before us. It was a fixture that demanded nothing less than three points. Yet we lost once again. What’s the problem? As you’ll see below, I don’t think the players’ performances were as bad as they have been in other recent home games. Besides, our away form and position in the table proves that these players do belong in the Championship. They have beaten some of the best in the division and less than a year ago won League 1 at a canter. They are good enough. An alternative explanation is Powell’s supposed tactical naivety. Powell has been criticised for being too conservative or for making subs too late. But neither of these criticisms would be valid today. Besides, could such a tactically inept manager guide his side to so many impressive away victories? It’s not a problem with the players and it’s not an issue of tactics. It’s psychological. 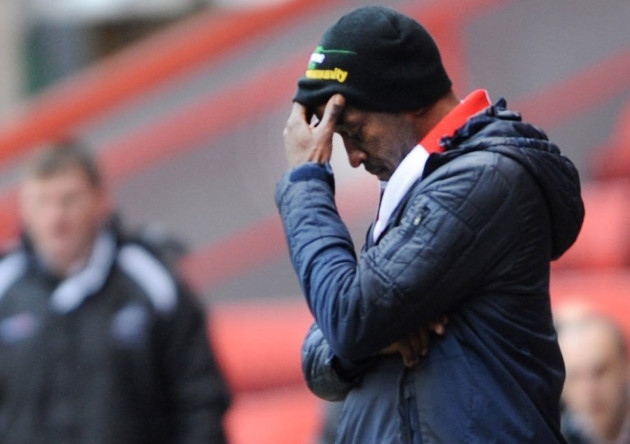 Charlton tend to play well without the cutting edge to take the lead. Once we concede the heads drop and the confidence dissipates. Suddenly we can’t string two passes together. Right now, our players our freezing under the pressure of a home crowd – something they don’t feel when playing away. They’re paralysed at home and pulling them out of that state could be Powell’s toughest test yet. A disappointing performance from Button, especially considering it was only last week that he was voted Man of the Match after an impressive performance against Huddersfield. Button won the plaudits in that game for his imperious dominance when it came to dealing with crosses into the box. Today it was hard to believe we were watching the same player. Not only was he lucky to get away with dropping the ball an alarming number of times, but he may have privately felt he could have done better with Millwall’s two goals. Shane Lowry’s free kick was a lovely strike, but it was from a very long way out. Judging by the way in which Button lay flat out on the pitch for at least twenty seconds after it flew in, he was not happy that it beat him. Cedric Evina must be wondering what he did wrong. Wiggins was not poor against Millwall, nor has been poor in any game since his return from injury, but he has not demonstrated to us why he is the automatic preferred choice over Evina. Wiggins’ runs from deep were one of our main attacking threats last season yet they were nowhere to be seen against Millwall. Wiggins struggled to get involved and seemed to have a poor understanding with Harriott in front of him. 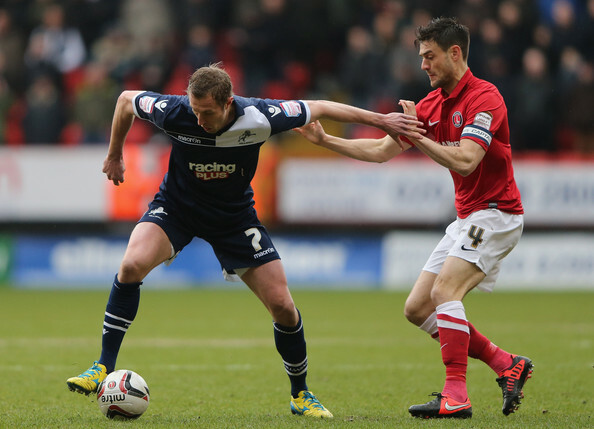 Morrison and Taylor together dealt relatively well with what Millwall had to offer in attack. Yet when what they had to offer was Rob Hulse and not much else, that was not such a hard task. Solid. Did enough to justify his inclusion ahead of Cort for the time being. Not as good as Shittu. It was a disappointing day for Solly who never truly reached the the very high standards we have now come to expect from him. We would usually expect to see him get in behind the opposition full-back or whip in a deadly cross at least two or three times a game. Yet despite one moment briefly in the second half when Solly drilled a ball across the face of goal, we rarely saw Solly threaten. He also gave away a poor corner with a very sloppy pass back to Button that summed his game up – below par. It was always going to be a bit anti-climatic wasn’t it? After a starring turn away at Huddersfield, today was the chance for the majority of Addicks to finally see what all the fuss was about. He shone brightly in sparks, most notably when he got the crowd off their feet on 33 minutes after a driving run and venomous shot forced a good save out of Millwall ‘keeper Forde. Yet he struggled to make an impact from some promising positions while we were chasing the game. Always Mr.Reliable, Jackson put in another solid if not spectacular shift in the middle. Considering Millwall had three men in central midfield, Jackson and Pritchard both did extremely well to dictate as much of the play as they did. He lit up the match mid way through the first half with a sumptuous 30 yard pass to switch the play and put through Harriott on the left wing. For the second home game in a row, Pritchard was the best player in a Charlton shirt. With the exception of a ten minute period in which Millwall scored their two goals, Pritchard’s hustling and harrying prevented their midfield from settling into any rhythm or tempo. Furthermore he was instrumental to the good football we played in the first half, playing some very neat and tidy passes with Jackson as we actually worked the ball into the box without a hoof to be seen. Once again, however, he was let down by his poor finishing after he spurned two good chances that should have seen us ahead. Wilson’s performance today will have done little to appease those of the belief that he is stealing a right midfield spot that should by rights belong to Danny Green. In away games his work rate and discipline stand out yet at home it is his lack of guile and creativity that leaves a mark. He was rightly substituted after 67 minutes for Scott Wagstaff but should probably have been removed sooner after failing to contribute anything of any meaning in that time. Uninspired and seemingly uninterested. Haynes just didn’t look as if his head was ever in the game today – a stark change from recent performances where has looked our most threatening player. Millwall’s defence could have been easily exploited with his pace, yet they dealt with Haynes without having to break a sweat. His casual trot off the pitch when he was subbed said more than I ever could about his attitude today. As you’d expect he threw himself about a bit and to some effect in the first half. He tried to recreate his “YannBasten” on 41 minutes. It didn’t come off. After that he was largely anonymous but would undoubtedly be disappointed with some of the service he was receiving. As you’d expect Fuller did provide an added dimension to our attack yet it never felt like enough. He was unlucky not to win a penalty but his performance in this game will be remembered mostly for his close range volley that ended somewhere in the north upper. Came on. Ran around a bit. Impressively floored Danny Shittu. Probably moaned at the ref. This entry was posted in Player Ratings and tagged Charlton Athletic, Millwall, Player Ratings. Bookmark the permalink.